The Dark Tower in the constellation of Scorpius is an elongated dark cloud of dust and gas embedded in a rich sea of stars. 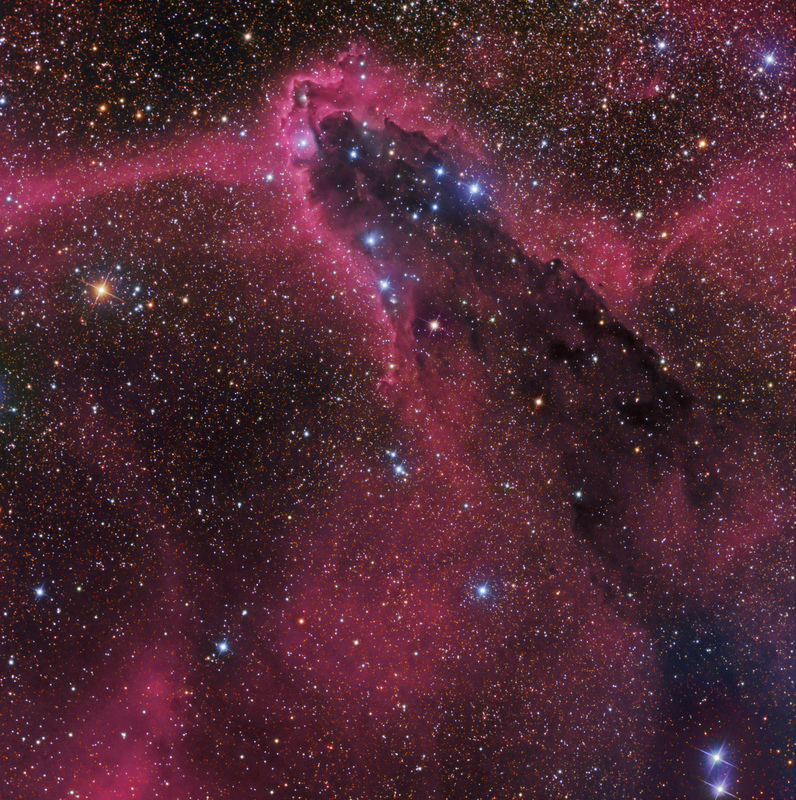 It is known as a cometary globule where intense UV radiation from very hot OB-type stars in NGC6231 (off the top edge of the image) sculpts the resulting columnar structure of the Dark Tower. The UV radiation is sufficiently strong to ionize hydrogen, producing an ominous pink glow around the top of the Dark Tower and similarly to ionize the background medium, such as the interesting "bridge to nowhere" of H-alpha light extending from the tip of the Dark Tower toward the left side of the image. There are several blue reflection nebula embedded within the Dark Tower. These structures are stellar nurseries. The Dark Tower is 40 light years across and 5,000 light years distant.